A common occurrence in the real estate industry are agents choosing the option of utilizing solutions provided by their broker for their online marketing solutions. 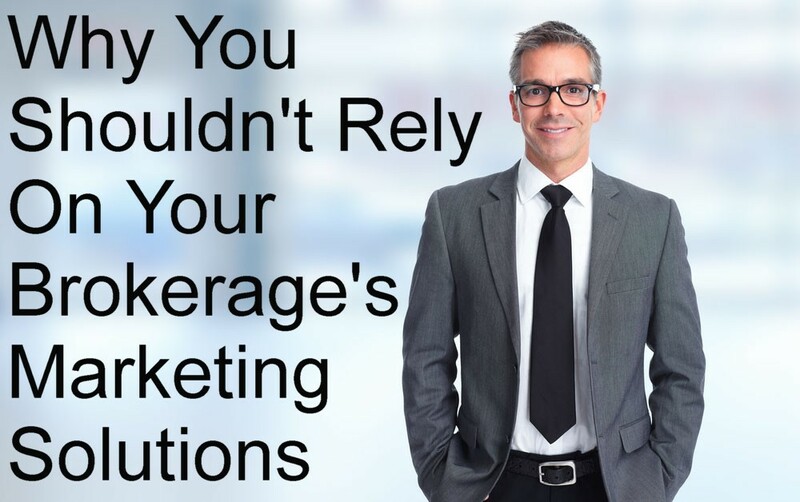 There are many reasons why you should absolutely take advantage of what your brokerage offers you. There are, however, many reasons why this should not be your only online presence. We agree that your brokerage wants you to succeed. They give you tools to help bring in real estate leads. They will get even invest in Google and Facebook adspend to make sure the leads come in. They will sometimes offer what 3rd parties offer. It is okay to use multiple solutions for your online marketing. Most top producers will have their own website, alongside their broker's internet marketing solutions. When you rely solely on your brokerage-provided website, you are at the mercy of their lead routing software. A lead that goes to your brokerage will be routed to you at the discretion of your broker. Google any of the top producers in your area, and you will see that they have personal branding along with their company’s solution. A website given to you by your broker will look exactly the same as the other agents in your office. By using a different solution, you are differentiating yourself from the competition. It is not very likely that a real estate agent will stay with the same brokerage for their entire career. When they change brokerages, everything that was given to them is still the property of the original brokerage. Your website, your Facebook tools, and your leads. You can’t take any of that with you when you leave. This means when you leave a brokerage, you are deleted from the internet! Google takes between 4 days to 4 weeks for a new website to be crawled. If you are hopping from office to office, or even website provider to website provider, you are hurting yourself in the Google rankings. Maintaining a web presence outside of your broker solutions will help establish you on Google as the local real estate expert. When a potential home buyer or seller stumbles onto your company’s website, what is the reason they will request to work with you? There is no reason! Your co-workers are your immediate competition. Yes, brokers want their agents to succeed…but it is not important which agent succeeds if one of them brings in a good commission check. Some brokers will give more leads to their top producers, making it harder for new members of their team to close deals. It is very effecting to create a name for yourself in your market. You want to be who people go to for their real estate needs. By not having personal branding, you are reinforcing your company’s brand. This means that referrals and future clients will go to your company, even after you leave. Take that social proofing with you everywhere you go! Be recognizable. Establish an online presence that prospects will want to interact with! To learn more about online marketing, click the button below for a free trial of our Social Poster Tool!